Wine country hideaway at Bothe Napa Valley State Park - volunteer site. I’ve got around 100 square feet of living space in my 20’ Airstream trailer. For a house on wheels, I think that’s pretty good. It’s easy to maneuver, easy to get into tight spaces, and really, it’s got all I need to live comfortably – a kitchen, bathroom, shower, bed and table. It’s particularly good for traveling, which is why I got it. I wanted a home that could move. It also allows me the flexibility to stay as long as I want in places that interest me. But things change when I choose to stay in one place for a long while. It starts to feel small and the whole point of living large in the big wide world gets lost. The idea of trading up to a larger rig starts sounding like a good option, but instead, I take breaks from the trailer and rent real houses for short periods of time. 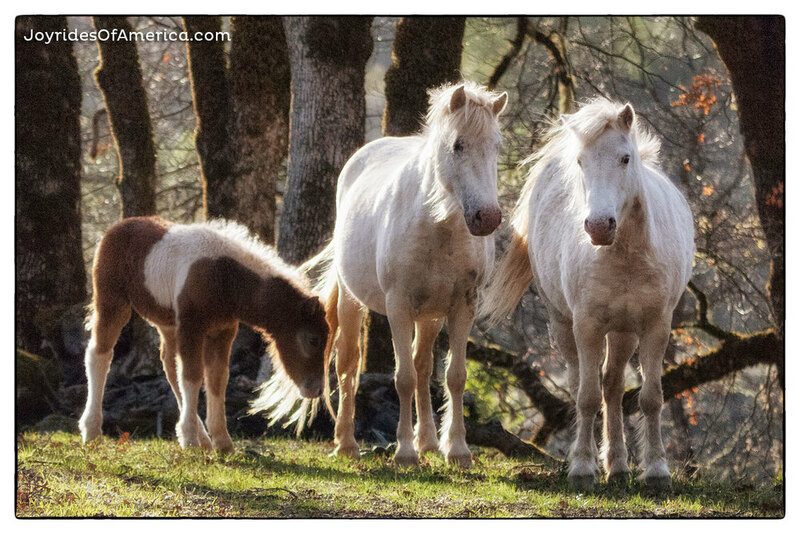 This time, in northern California, I found a beautiful cottage (with 500 luxurious square feet) on the sunny side of a mountain where deer, pygmy owls, bats, birds and wild horses are frequent visitors. It’s exceptionally beautiful and was impossible to resist, especially since the cramped RV parks in the area cost about the same. It's an area I am considering for a home base, so an extended stay was in order. And, how 'bout that view, eh? On the lookout for deer and horses. At Bothe Napa Valley State Park, I volunteered as a mill host for the Bale Grist Mill. In trade for volunteering, I had one of my favorite pieces of real estate ever. Volunteering is a great way to settle into a place for a while, integrate locally, be in a beautiful place and save money on camping costs. It's a serious time commitment, though. I’d like it a lot better if I didn’t have to simultaneously manage the work that actually pays me $$. You don't have to be a volunteer to stay here, though - Bothe Napa Valley has a campground and it's the best place to camp in a tent or RV in Napa Valley. Not great for big rigs, though. This is at Dutcher Creek RV Park. It’s a reasonably-priced, well-tended RV park (with pool!) in the Bay area that caters to long-term stays. Way north in Cloverdale (Sonoma County’s most northerly city), it’s just barely in the Bay Area. But doesn’t that site just look swell? It was, for a little while. What you can’t see is a dirt road right next to and around it. It’s dusty. There is zero privacy. I made the best of my little site here, though, especially with that awesome free couch from Craigslist. A magical place, with magical beasts. Wild horses!